Optical compartment in die-cast aluminium; hot dip galvanised steel tubular arms; sodium-calcium tempered protection glass, with 5 mm thickness. 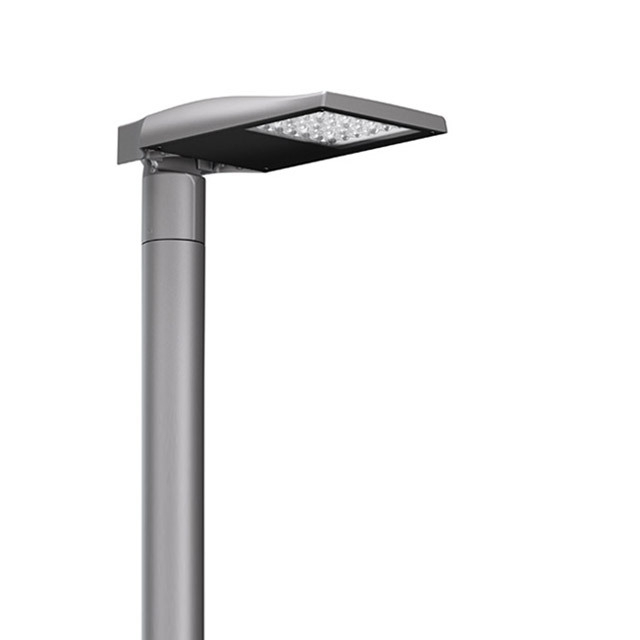 The luminaire can be programmed using the interface for luminous fl ux adjustment. The luminaire is supplied in Midnight mode and can be converted into ON-OFF mode using the same interface. Driver 1-10 V compatible with remote management systems. Overvoltage protection: 10kV in Common Mode (CM), 6kV in Differential Mode (DM). An active control system changes the current intensity in order to maintain the lifespan of the LEDs even under extreme thermal conditions.